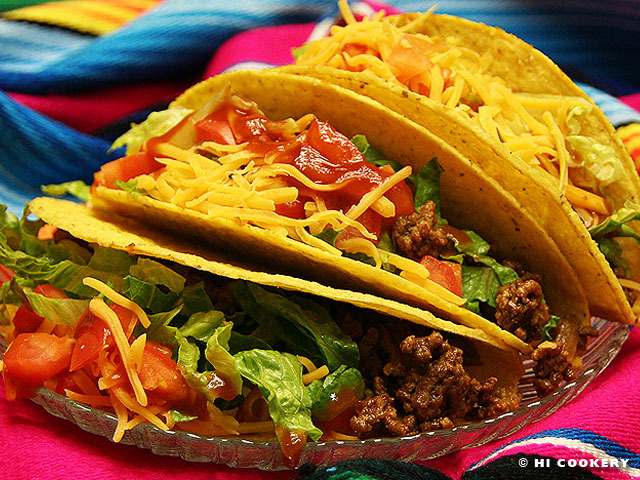 Living in South Texas, we are exposed to a wide variety of tasty tacos (corn or flour tortillas filled with seasoned meat or seafood and topped with colorful vegetables, cheese and sauces). Whether they are soft rolled breakfast burritos, open-faced puffy tacos or crispy tortilla salad bowls, among many other versions, we enjoy eating them from taquerías, Tex-Mex restaurants and market street vendors. At Islander’s brother’s community house, he and his fellow priests and brothers host a weekly prayer and dinner at the university throughout the fall and spring semesters. The cooks, Gregorio and Silvia P., often make tacos as they are a popular comfort food for the mostly Mexican student population and they are also simple to cook for a crowd. Whenever we can, we donate desserts for this “Taco Tuesday” ministry. 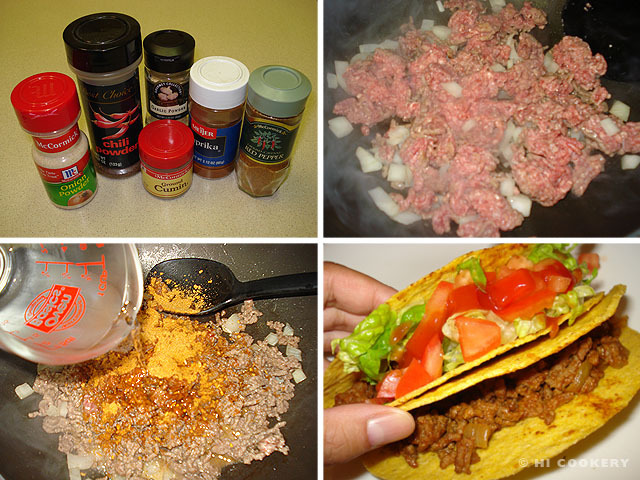 At home, we usually cook traditional tacos with spiced ground beef in a crispy shell. This recipe version is what we are featuring on our blog for National Taco Day. 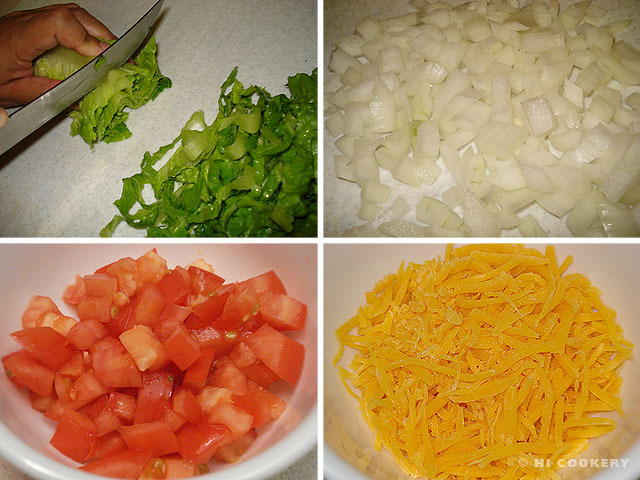 Slice the lettuce, chop the onions, dice the tomatoes and shred the cheese. Set aside. In a small bowl, combine the spices. Heat oil in a skillet and sauté the onions. Crumble and mix the ground beef in the skillet and cook until brown. Drain the grease. Add the spices. Stir in the water and simmer until it is evaporated and the beef is well blended with the sauce. Heat the taco shells in the oven according to the package directions on the box to add some crispness to them. Fill the shells with the meat mixture and top with lettuce, tomatoes, cheese and sauce. The community cooks, Gregorio and Silvia P., who inspired this recipe, tell us that they mix in diced potatoes with ground beef or shredded chicken to feed the masses. Highlander likes hot sauce in his tacos for more heat. Others add sour cream or guacamole and sprinkle finely chopped cilantro on their tacos for a different flavor. Like sandwiches, the filling combinations for tacos are endless!